Is it better to have loved and lost..? I have now been driving around 13 years and in that time I have owned around 25 cars. The majority of them were nothing special, a means of getting from A to B, but there are a select few that I still wish I had now. Some of them I wish I still had now because they would be worth a lot more than the pathetic amount I gave them away for, and others because I often think back and remember just how much I loved my experience behind the wheel. 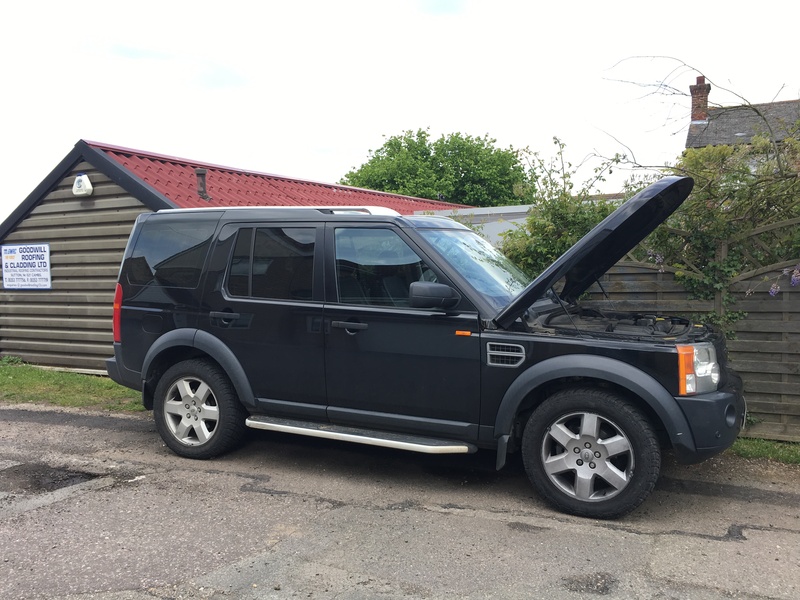 The reason I am being all nostalgic about my cars is because right now my Land Rover is sat on my drive, covered in dirt with yet another problem. The problem is every part of me thinks it is probably best to get the issue repaired and then get rid of it as quickly as possible whilst trying to salvage a bit of the cost, but that one part of me that disagrees with that is a big one, it’s my heart. I know that the minute I see someone drive of down my driveway in that car, I will want to chase them down and beg for it back. I don’t know why, I just really like this car. I love it’s presence and I love how (when working) well it performs as an every day car as well as being a greenlaning pro. I know I have badgered on to a lot of people about how I am going to sell it, by an M3 (at last) and live happily ever after. If it was that simple it would have been gone 2 months ago. Truth is I know that it’s just such a great all rounder of a car. I can drive to work and back every day and return reasonable mileage due to the recent EGR blanking, but at the weekends I can also load a kayak on to the roof, fill it with bikes and camping equipment and have an adventure somewhere a normal road could not reach. The thought of getting rid of that for something that will inevitably cost as much, if not more, to maintain just seems a bit crazy to me. Eventually the financial torture will get to me and the standard story is I sell the car at a loss, stretch my budget with its replacement and then plough more money in to that and so the cycle continues, but this has got me thinking that the only car I have owned that I not only loved, but also didn’t rip my heart out on a weekly basis with issues and hidden costs was a 5.0 litre Mercedes from the early 2000’s… Unbelievable I know, but true! 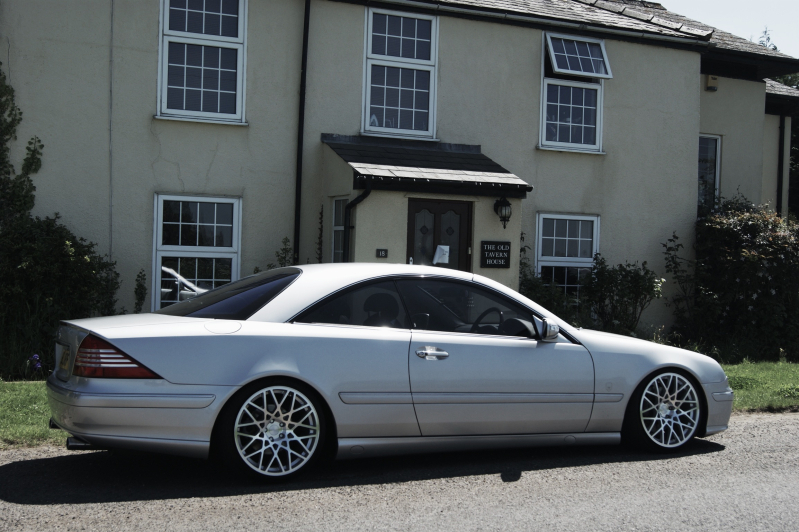 The car I am talking about is my old 2003 Mercedes CL500. A 5 meter long, 5.0 litre luxury coupe built in a time were Mercedes were so far from the top of the reliability tables, you’d think they were being built in Italy. When the car was new it’s ticket price was around £75,000 with a long list of options including push-button start, Bose and a load of other stuff – that’s around £100,000 in “2012” money and I bought the car with below average miles, from a dealer, with a warranty for less than £13,000! You literally cannot get more car for your money. I have tried. A lot of people warned me off these cars and gave me a thousand reasons to run mile including air suspension faults, engine faults, electrical snags and so on but I have always loved this car. Another big concern was fuel – petrol prices were rising and the realistic returns from the 312bhp V8 were around the 19mpg mark. Fortunately for me I was working for home and rarely doing much business mileage. With that in mind, I traded in my 1 year old BMW 1-series diesel and picked up my 10 year old barge. The first shock appeared literally 100 yards from the dealer when I had the fill the car for the first time from empty – a staggering £110! I have since learnt that you just get used to that. I can’t remember the last car I owned that cost less than £90 to fill, apart from maybe one of my vans. In the two and half years I owned the CL, it went wrong once. The crank position sensor failed while I was parked at a doctors surgery down the road from my house and the new part came to £9 and it was fitted by a mechanic friend. I did over 35,000 miles in that time and it included a trip to the Nurburgring with two laps on the Nordschleife, a road trip to Bologna in Italy and back via Monaco and France and various trips to Wales and around the UK. My W221 S350 was very close in comfort and ease to live with, but there was something about that V8 and the long sleek coupe body that made it just that bit more special. Don’t get me wrong, it cost me a fortune to own but 99% of that was through choice. I had a custom exhaust fitted to emphasise that fantastic V8 burble, I tweaked the suspension to lower it a bit and added various different wheel and tyre combinations and went through a fair few sets of tyres and brakes but that’s all fairly trivial. I had to sell the CL because my girlfriend was moving back from Italy and we needed a car we could both drive so I changed it for a Mini Cooper S, which was a great car, but there really is no replacement for displacement in my world so it never cut the mustard. I have a big event coming up where I will be driving, among many others, the new AMG GT-C, a couple of R8s and some Aston Martins, so I have no doubt in my mind that by Thursday evening I will be wanting more power and a lower centre of gravity again. However I am also driving the Disco over to Wales the next day for the long weekend, and I can also guarantee that as long as it is a drama free drive (touches all the wood in the office) I will fall back in love with it again, at least for a few days.